Did your opening stop opening? Need a new one fast? Would you like assistance with selecting a replacement? To save time and trips for you, please have as much of the following information as possible when you contact us. Is the opening fire rated? 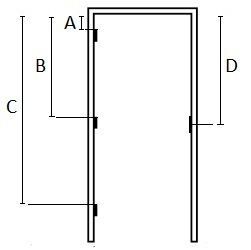 Do you need a door, frame, hardware, or some combination of these?